Those of us in the tattoo industry pride ourselves in being different. We go against the grain and consistently work on pushing ourselves to become stronger, more diversified tattooers. Our commitment to our own craft sets up apart from traditional society. Contrary to what some may think, tattooing isn’t always glamorous and for many tattoo artists, we don’t exactly rake in significant cash everyday despite our professional experience. This is why, for those of us that celebrate, we appreciate receiving tattoo-related gifts during the holidays! While our personalities obviously aren’t all the same – we do share an affinity for high-quality tattoo products. Navigating the tattoo world might make it difficult for loved ones that want to purchase a thoughtful yet useful present during the holidays. 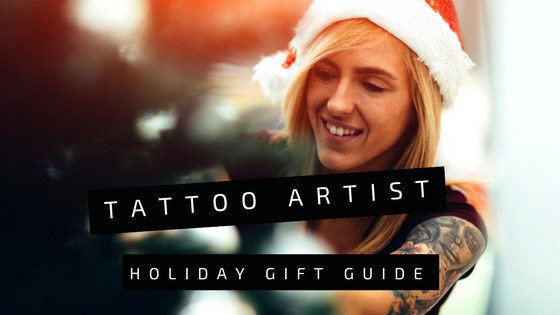 This is why we’ve created this handy tattoo artist gift guide for any celebration from Christmas to Hanukkah to Kwanzaa to birthdays. The Eternal Ink Set helps create vibrant, powerful tattoos and this 25-color set is an incredible value! From every day black ink to neon colors like nuclear green and bright orange, this tattoo ink set really allows a tattoo artist to explore new color combinations. 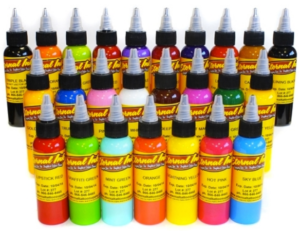 Eternal is also lauded as an incredible ink company used by professional tattooers around the world making any of their products great gifts for tattoo artists. If the gift recipient in mind enjoys tattooing intricate lettering – this set has everything they need to complete their work. 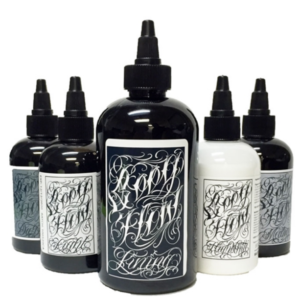 With five different tattooing inks that include light, medium, dark, high white and a black lining bottle, this ink set is ideal for those that specialize in script or lining tattoos. They’re also able to try this specialized ink created by Boog Star also known as the “Scriptfather”, a world-renowned tattoo artist recognized for his superior letter infused art. A light box is a really great gift for those of us that can’t put our sketchbooks down. Available in pink, blue and yellow, these LED light boxes can easily fit in a backpack or portfolio because of its travel friendly, ultra-slim size. Your beloved tattoo artist is able to take this to conventions or pick and sketch from just about anywhere. 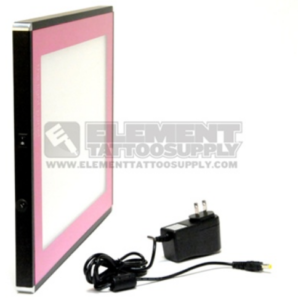 These light boxes allow for the artist to easily trace and perfect their stencils. If you’re not quite sure what the right gift is, go ahead and opt for a gift card from Element Tattoo Supply! They’re able to pick exactly what they need. 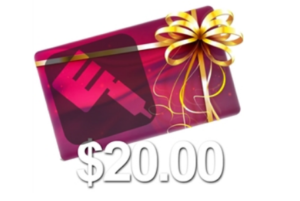 Whether it’s restocking tubes or saving up for a new tattoo machine, we have gift certificates available in $20, $50 and $100 denominations. Just like gift buying for anyone else, it’s important you keep your loved one’s aesthetic and style at the forefront. Study their work on others and the tattoos on themselves; this should be a great indicator of their personal style. Remember that the tattoo artist in your life is a creative and talented individual and this uniqueness should be celebrated with unique tattooer gifts. Happy shopping!